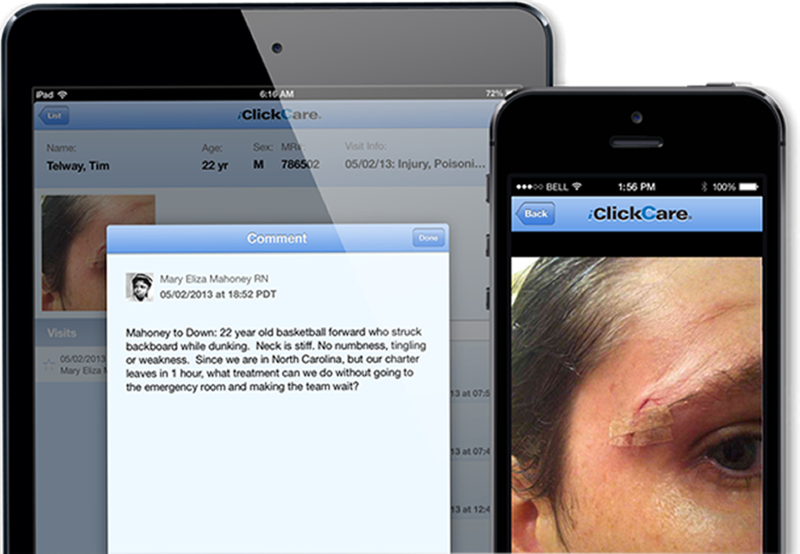 This basketball player has a small laceration, but there is concern about a concussion. Secure collaboration -- using iClickCare -- with his regular doctor back in the City provided a treatment that is safe and minimized long term consequences. The basketball player went back to classes but not yet back to the basketball court.